Christmas is coming and we thought this would be a great time to finally start our blog! Plus it'll serve as our first family Christmas card! The latest greatest news is that Ben is signing on with a great consulting firm called Monitor Group. 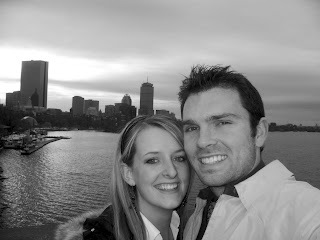 They flew us out to Boston this week for "sell week"...even though we were already sold:) We had a great weekend learning more about the company and seeing the sites in this cool town. We love you all and wish you a very Merry Christmas!